For the 25.6 Mil Texans wondering what the Patient Protection and Affordable Care Act (AKA as ObamaCare or Healthcare Exchange) means for them, we’ve found answers. 1) Under federal mandate all citizens must purchase federally approved health insurance during the open enrollment period or pay a penalty based on your income. Some Texans will be exempt from penalty for reasons such as if the basic coverage’s monthly premium exceeds 8% of your income. To read more about penalties for the uninsured or to learn if you qualify for an exemption, go to Affordable Care Act: Penalties for the Uninsured. 2) The federal government is offering subsidies to help alleviate the burden of high monthly premiums to more than four million Texans. For more information subsidies and to learn if you qualify, read the article Health Care Exchange Subsidies: Do You Qualify? â€¢3) October 1, 2013 to March 31, 2014 is the open enrollment period in which you must apply for health insurance. For 2015 and beyond, the open enrollment period is a shortened 3 months. Contact 800-930-7956 extension 0 for assistance signing up. 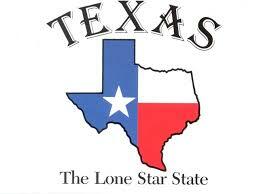 4) Every Texan is guaranteed health coverage under ObamaCare, regardless if you have a preexisting condition. To learn more about this, read the article ObamaCare: Guaranteed Issuance for Everyone. If you have any further questions in regards to ObamaCare and Texas please call 800-930-7956 or contact Medicoverage: Texas.